How far have you cycled in a single journey? This film follows several British cyclists as they prepare for this incredible journey. From the qualifying rides in England to the finish line in Paris, we look at what it takes to succeed in such an event. Contributions from professional cycling coach Simon Doughty, Paris-Brest organiser Pierre Theobald and many others help to give an insight into the biggest physical and mental challenge that an amateur cyclist can engage in. 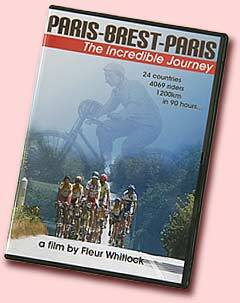 If you have ridden Paris-Brest already, are hoping to ride the next one or just curious to find out what it’s all about then order your copyof the PBP Video now!